Set of 5 metal dimensional starburst wall decor in rich gold and black. 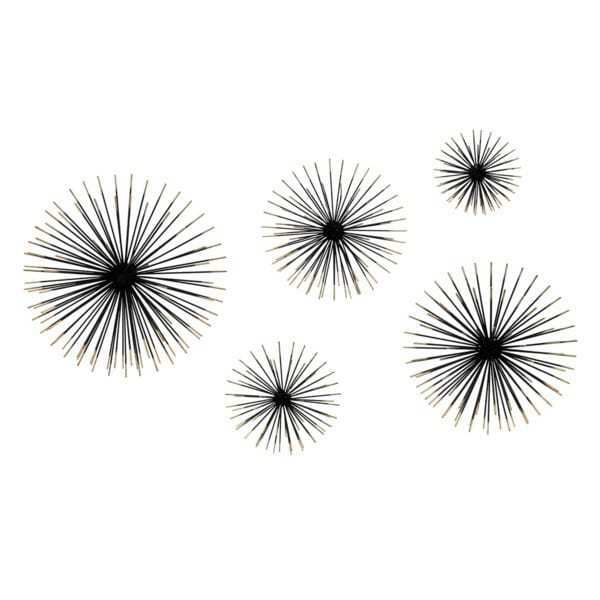 Add retro modern flair with this set of metal dimensional starburst wall decor in rich gold and black. Set of five. A part of the exclusive Nakasa Collection – for your luxe lifestyle.